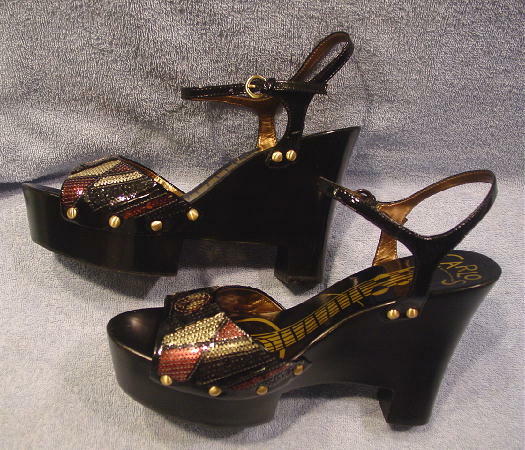 These never-worn open toe black wedge wood platform sandals are by Carlos Santana and were made in Brazil. 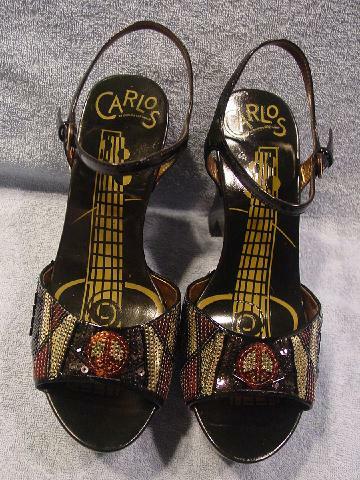 They have black wooden footbeds with Carlos and a guitar in a light sandy-mustard color. The vamp strap has little sequins in black, coppery-magenta, and silver on faux black patent. 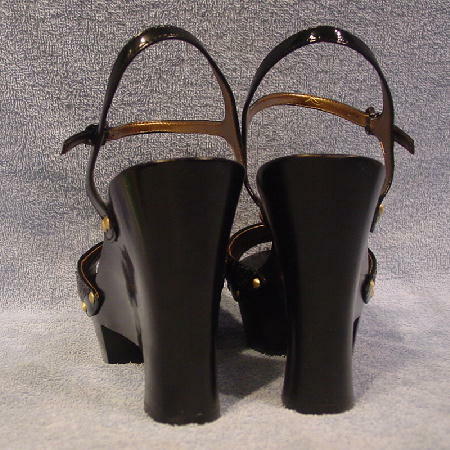 The ankle/heel straps and the vamp straps are attached by anodized gold-tone tacks. They have rubberized soles with Carlos Santana etched all over them. 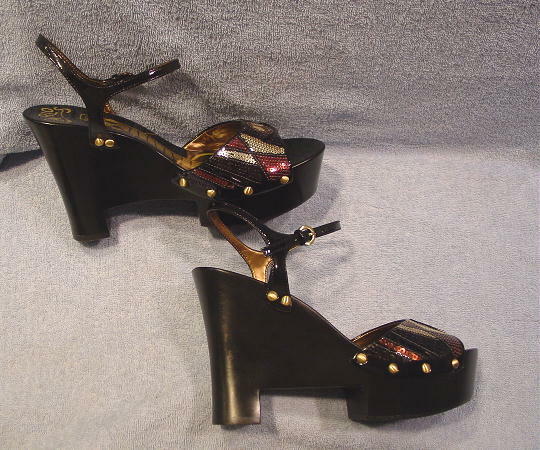 The platform toe area is 2" off the ground, but because the toe area goes upward, the platform is actually only 1 3/8" high. A stylist bought 2 different colors in two different sizes for a magazine photo shoot. She wasn't sure which size would fit the models. This pair and one other pair weren't used.